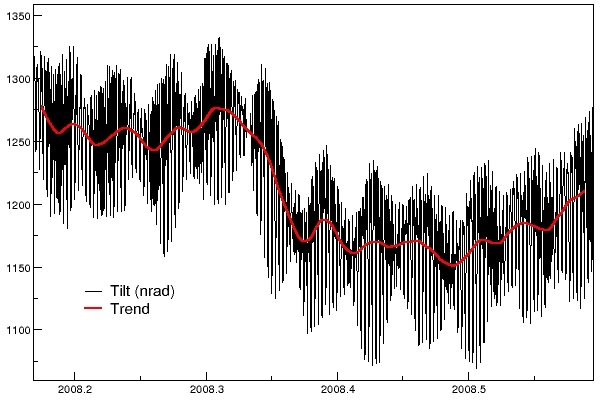 Below are the preliminary Baytap-G tilt 1-hour solutions for select segments of the Cascadia Tiltmeter Array showing up to 4.5 months of tilt data. 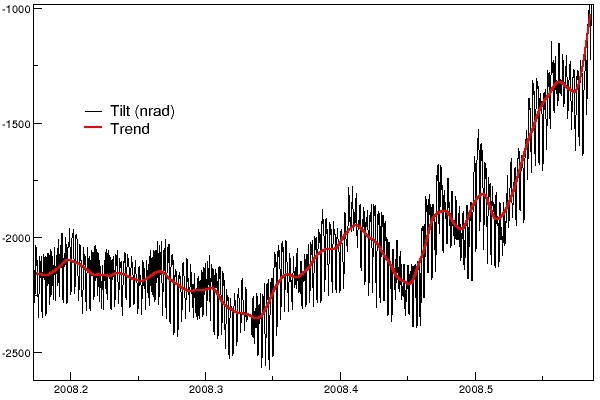 Shelton Tiltmeter is very stable with less than 25nrad of drift over 3.5 months proceeding the 2008 ETS. 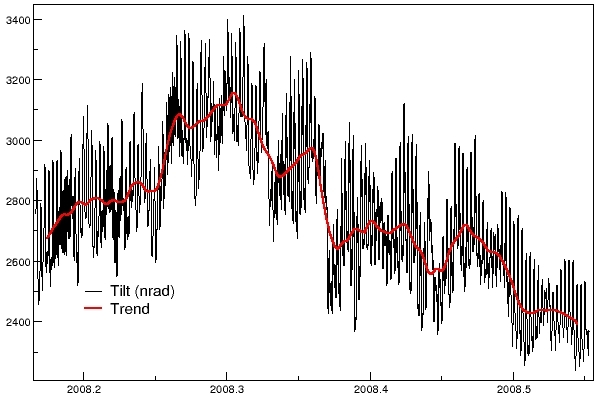 On May 5th, 2008 the data show obvious signs of ETS onset with an approximate 300nrad E-W and 100nrad N-S over the past month. 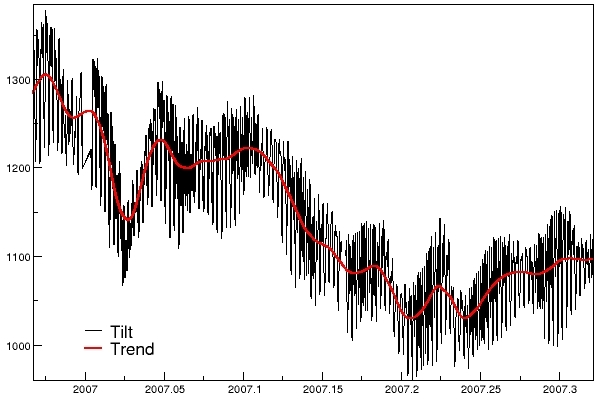 The Sequim Tiltmeter also recorded ETS intiation at around the same time where 3.5 months of steady 100nrad drift abruptly changes to 500nrad on the north-south arm. Mt. 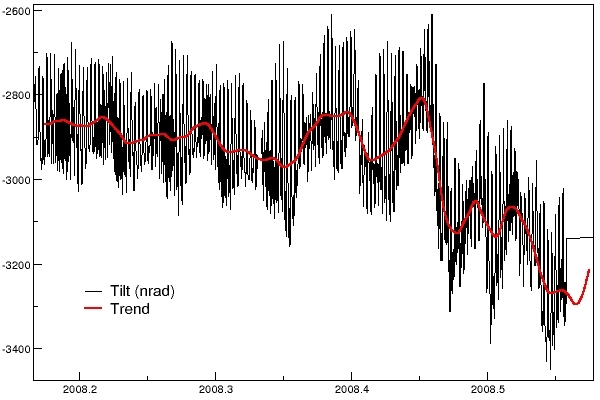 Vernon shows comparable time onset, however the drift is much larger and tilt characteristics are confused by other signals. 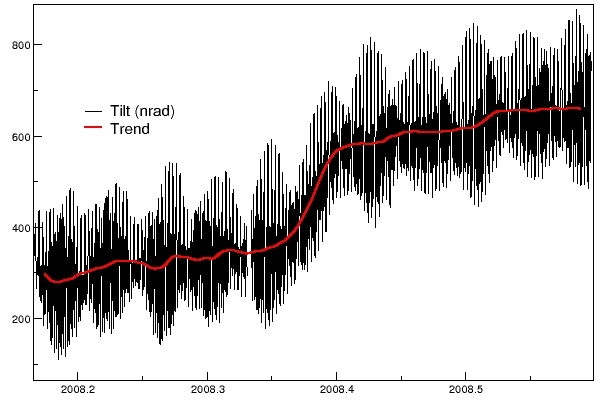 For comparison, the January 2007 ETS event is plotted at the bottom. 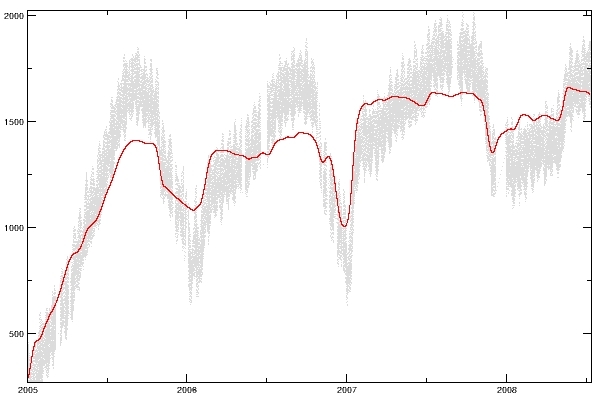 This penultimate event had almost twice the tilt amplitude in less than half the time interval. Data trace "down" means south/west down. 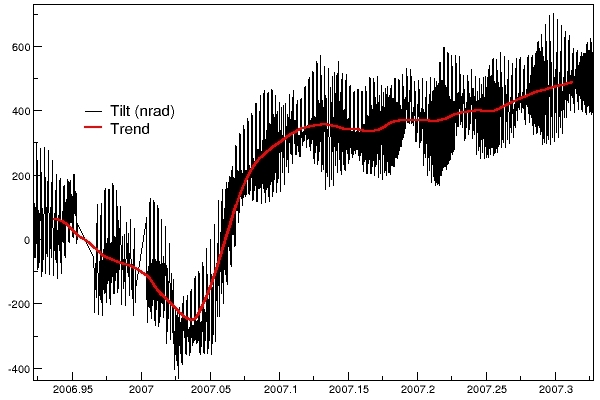 *Note: trend is smoothed data residual after subtracting theoretical tides.